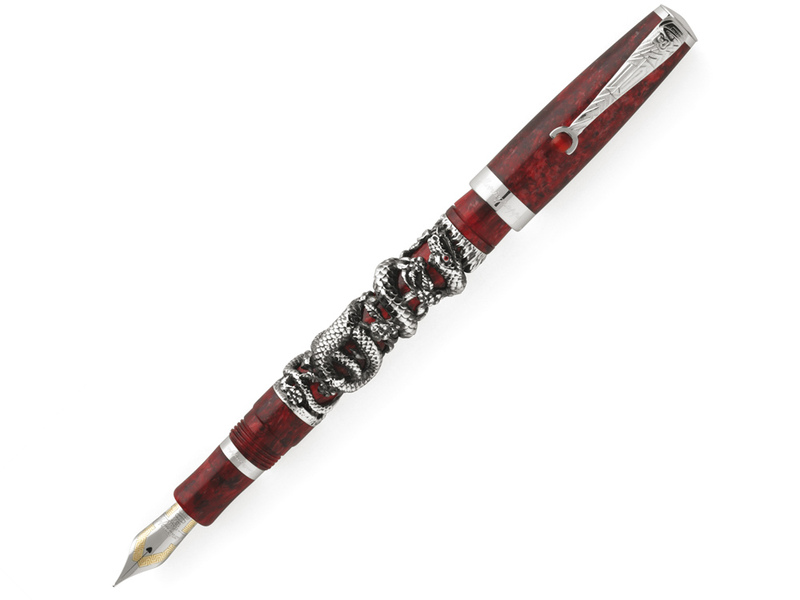 Celebrate 2013, the year of the snake, with this beautiful limited edition fountain pen. Montegrappa pens have created a new design which is inspired by the Chinese Zodiac and dedicated to the animal which corresponds with the newly started year, 2013. This impressive Montegrappa Snake fountain pen is finished in dark red celluloid and sterling silver! The Chinese Zodiac says that people born during the year of the Snake are believed to be intelligent, graceful and materialistic, just like the animal itself. People born in the year of the snake are analytical and sharp pursuers of their goals. They value wellness and do as much they can to take advantage of all the opportunities life gives them. This fountain pen is made to reflect this sly and incisive nature. The fountain pen, like all Montegrappa limited edition pens comes with a piston filler and an 18k gold nib. The sterling silver decorations are sculpted in the form of intertwining snakes that give the pen a very dynamic appearance. The cap is finished in dark red celluloid like the body and the clip is carefully designed. The rotating ball, mark of Montegrappa pens, is red as well! Only 888 units will be made for the sterling silver version of this pen, and 88 for the 18k solid gold. 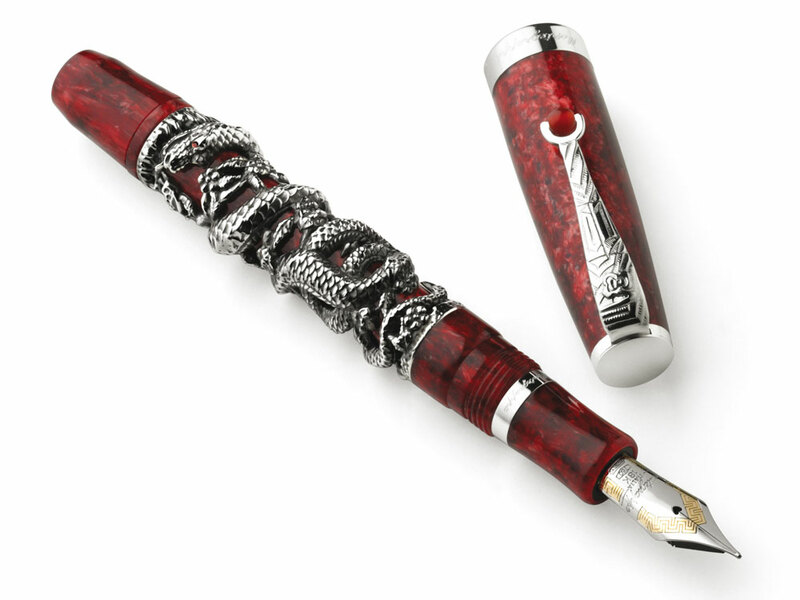 Platinum fountain pens at Iguana SellPelikan Maki-e Sea World Limited Edition Pen! !